> Safety management rules extended to all Tasmanian mines. Are you up-to-date with this year's biggest workplace health, safety and wellbeing stories? The OHS Alert team is taking a break for the festive season, and we're leaving you with a list of your favourite articles from 2015. In a case examining the meaning of "contract of service", a Supreme Court has upheld a finding that a man wasn't a "worker" when he fractured his neck and spine while working for a friend. 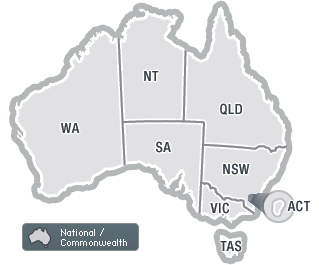 In this article, OHS Alert outlines recent safety and workers' comp developments from NSW, Western Australia, Victoria, South Australia, Tasmania and the Commonwealth jurisdiction. A coroner has again been forced to warn that working under vehicles and other machines that aren't properly supported "can and will lead to death", after conducting his third investigation into such a fatality this year. Victoria has been given little time to enjoy its status as the "nation's safest state" - as indicated in a new Safe Work Australia report - with five workers being killed in a "horrifying" nine-day period. > Tasmania introduces WHS plan for police. The Federal Court has upheld a finding that office hubbub aggravated a worker's oversensitivity to everyday sounds. Workplace safety and return-to-work awards have been presented in four jurisdictions. This update outlines all the most important workplace safety and workers' compensation developments from July, August and September, including one of the highest safety fines in Australian history, and legislative changes in every jurisdiction.